Intercessory Prayer | Pray for Revival! You are currently browsing the category archive for the ‘Intercessory Prayer’ category. Today I have a pleasure to welcome Jared Brock to Flowing Faith as a guest blogger. Jared is the author of A Year of Living Prayerfully, a humorous travel memoir about prayer. He is the cofounder of Hope for the Sold, an abolitionist charity that fights human trafficking one word at a time. Jared is happily married to his best friend, Michelle, whom he first kissed in the seventh grade. I recently traveled 37,000 miles around the world on a modern-day prayer pilgrimage. I met the Pope, danced with rabbis, visited monks, walked on coals, and revived my prayer life. I discovered a world of prayer traditions across the Judeo-Christian faith family, and dug into the history of our family’s greatest prayer warriors. Here are ten I discovered along the way. Francis, the patron saint of ecology, was a nature-loving monk, and his followers have founded dozens of hospitals and universities. He’s one of the few saints revered in all three major branches of Christianity. I’m inspired by Francis’s boldness in prayer and action – in a time of enormous war and upheaval, Francis traveled to meet the Muslim sultan, in hopes of winning him to Jesus. While he didn’t succeed, he didn’t get executed either. In fact, the sultan so appreciated his boldness that Francis stayed for an entire year. Takeaway: Where can you practice boldness in your life? Maybe it’s a conversation you’re putting off or a new chapter you’ve been making excuses for not moving forward.. Be bold and start today! Lawrence was a monk who washed dishes and cooked meals, and tried to pray without ceasing. He became so famous for his habit that someone interviewed him, and published a little book called, The Practice of the Presence of God. The book hasn’t been out of print in over 300 years, with over 20 million copies in English alone. Lawrence believed it was easy to be close to God in prayer – if you didn’t wander far from Him during the rest of the day. I discovered Lawrence’s home after many months of research, and the impact of his simple prayer philosophy has helped me – and millions of people – to constantly commune with Christ. Takeaway: Find ways to connect the everyday to the eternal. When you wake up, pray about being alive in Christ. As you shower, ask God to cleanse you from unrighteousness. As you put on your clothes, put on the armor of God. As you walk or drive to work, pray about your spiritual journey. Teresa is the Doctor of Prayer in the Catholic church – a high honor, especially for a woman born 500 years ago. I visited her simple monastery in Spain, just outside the beautiful walls of Avila. Teresa believed we are all on a spiritual journey, and there are seven “levels” in the process, ranging from practicing humility to achieving ecstatic spiritual marriage. While the lower levels of prayer – including the humble recognition of God’s work in our life – is very helpful, things got a little crazy towards the end. Teresa was said to levitate. I tend to stick to her first few ideas, trying to see where God is at work in my life. Takeaway: Think about the times during the day you could focus on God more often. When do you get distracted, and how can you incorporate God into your life in those times? This pious monk is considered the father of Western monasticism, and for good reason – he literally wrote the book on it. The Rule of Saint Benedict has served as a guidebook for millions of monastics throughout the centuries, famously summed up by the phrase “Ora et Labora” – pray and work. The patron saint of monks and spelunkers built a dozen monasteries in his lifetime, but his last one was truly impressive: a hulking hilltop fortress called Monte Cassino. I’ve visited the massive stone fortress where Benedict died, and reflected on the impact of his prayer and work. Benedict believed that prayer and work aren’t mutually exclusive, and that times of work and prayer can go together. Prayer infuses mission with meaning. Takeaway: Instead of trying to fix your problems by work alone, start with prayer. Then, as you work, continue to see it as an offering or a constant supplication. Let your work and prayer be one. The Christian life is beautiful, but it isn’t easy. In this life we will have trouble. John of the Cross was no exception. His level of devotion was so extreme that another group of monks kidnapped and imprisoned him, bringing him out for regular public floggings. It was during the desperate time that he wrote the epic poem Dark Night of the Soul. He eventually tore the hinges off his cell and escaped, and went on to found a handful of monasteries. Like John of the Cross, and Mother Teresa many years later, I too struggle with dark nights of the soul. John’s life encourages me to weather those difficult times – to make Christ my rock and anchor in the storms of life. Takeaway: Make Jesus your firm foundation. Rather than trying to fix or avoid our problems, take time to do the greater work in prayer. Roger Schütz was 25 years old when World War II started, and he decided that Switzerland was too safe a place for any Christian to be during a time of war. So he bicycled to France. One night he stopped in an almost-abandoned hilltop town called Taize, and an elderly woman invited him in for dinner. She asked him to stay in Taize, and he did. As the war progressed, Roger helped Jewish refugees flee from Nazi persecution. Takeaway: Rather than always asking for things during prayer, set aside a moment to simply spend time with Jesus. Literally tens of millions of people are part of the Christian faith family because of the work of Wesley and his fellow ministers. The tiny preacher had a big mission – he’s famous for declaring that “the whole world is my parish.” I’ve had the opportunity to visit Wesley’s simple house, where I discovered a curious walk-in closet off his bedroom – his prayer room. Joni Eareckson Tada is currently battling her second round with cancer. Yesterday, Tada’s organization, Joni and Friends, announced their founder has been hospitalized due to complications resulting from treatment for breast cancer. 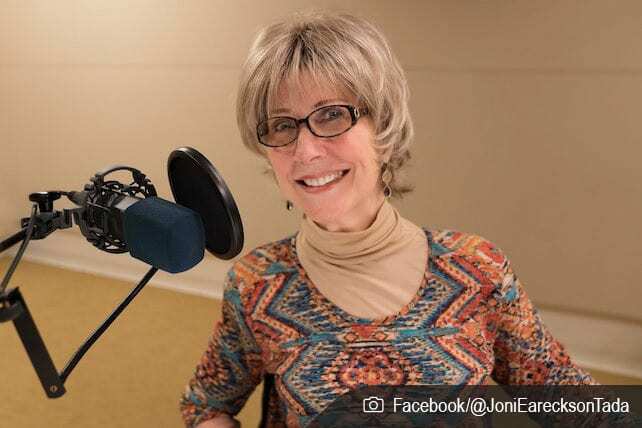 “Having accomplished the series of radiation treatments for recurrence of cancer, Joni Eareckson Tada has been challenged in the weeks following with significant pain issues including most recently, difficulty with breathing,” a statement from Joni and Friends reads. Tada announced she was battling cancer again for the second time in November of last year. Her first cancer diagnosis occurred in 2010, and Tada underwent a mastectomy and chemotherapy. It took five years of treatment before Tada was ruled cancer-free. Tada shared on her blog in February that the skin on her chest is wounded and causing her pain. Her doctor said she would need to hold off on radiation treatments until her skin had a chance to recuperate. “That area has been damaged so many times over the years from pressure sores and surgeries, little wonder it’s hard to mend,” Tada wrote. Now, Tada’s hospitalization brings to light a new concern. “With…the corollary inability to get the sleep needed for recovery, she has been hospitalized for observation and medical oversight,” the statement reads. Just as she did when she announced her diagnosis in November, Tada is asking for prayer and keeping her mindset positive. On her blog, she regularly expresses gratitude for the care her husband, Ken, provides. She also thanks readers and supporters for their prayers and notes of encouragement. Referencing James 5:16, “Therefore confess your sins to each other and pray for each other so that you may be healed. The prayer of a righteous person is powerful and effective,” Tada and her staff are confident that good things will come from the prayers of fellow believers. ~ Quoted in Carol Madison, Prayer That’s Caught and Taught: Mentoring the Next Generation, 109. What Does Fervent Prayer Produce? 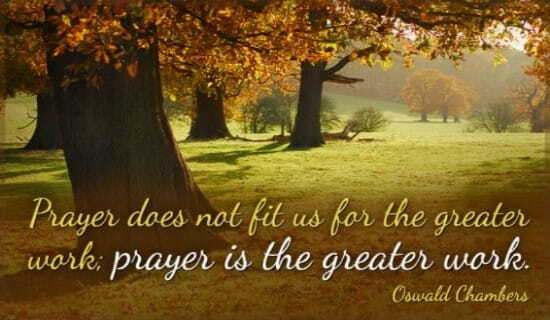 Why Do We Pray According to C.S. Lewis? My family and I lived here from 1985 to 1993. I was the pastor of First Baptist Church of Dannebrog. This village holds a special place in our hearts!